Boeing completed this week a milestone in the production of the first 777X, the so-called “final body junction,” when the nose, center and rear sections are joined together to form the entire fuselage – the wings had already been fixed weeks ago. The first prototype of the 777X, which is being built in Everett, Washington now measures 252 feet (77 meters) long, the longest Boeing ever built – the manufacturer had already completed construction of another aircraft for static testing in September. The Boeing 777X is the successor to the first generation of the 777 and has received various technologies introduced by the 787 as composite wings, high efficiency engines and aerodynamic improvements that together make the twin aisle aircraft to consume 12% less fuel and offer a cost 10% lower than its competitors. 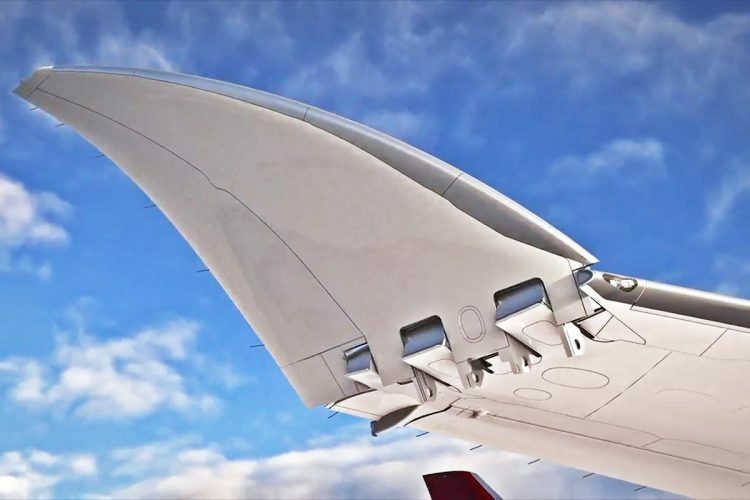 The great novelty of the 777X is the folding wingtips able to retract into the ground to keep the jet’s wingspan in the same pattern as its predecessor. Boeing’s intention was to avoid an increase in costs for adapting airport and runway terminals, for example. The mechanism has already been approved by the FAA which required several safety measures in order for its operation to be reliable. The Boeing 777-9X, with a capacity of 400 to 425 seats in a standard configuration will be the first to go into service in 2020. The first flight is expected next year. The new Boeing jet already has 340 firm orders and commitments. 777X customers include All Nippon Airways, Cathay Pacific, Emirates, Etihad Airways, Qatar Airways, Lufthansa and Singapore Airlines.